ISSS offers appointments as well as walk-in advising (limited to fall/spring semester only). ISSS advisors are available for walk-in advising on Tuesday, Wednesday, and Thursdays from 2-4pm. Walk-in sessions are limited to ten minutes; if more time is needed, an advisor may recommend that an appointment be scheduled. 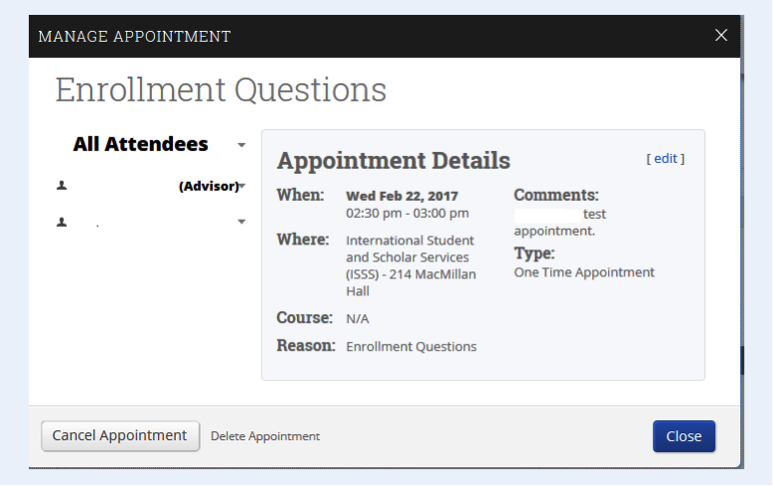 If you have a specific advisor, you may provide their name on the next screen. Otherwise, just click Next to see all ISSS advisor availability. 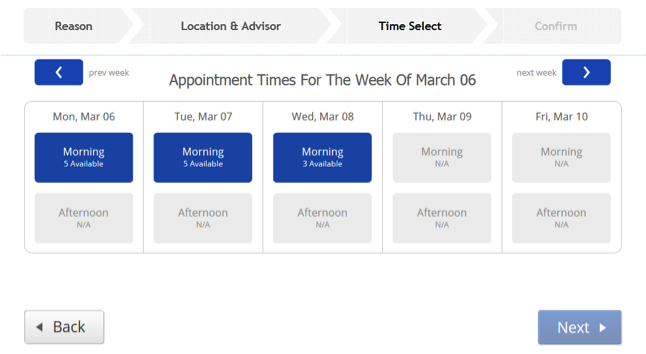 Review morning and afternoon availability and choose an available time. Enter comments regarding your visit and then confirm your appointment. You will receive an email confirmation of the appointment. 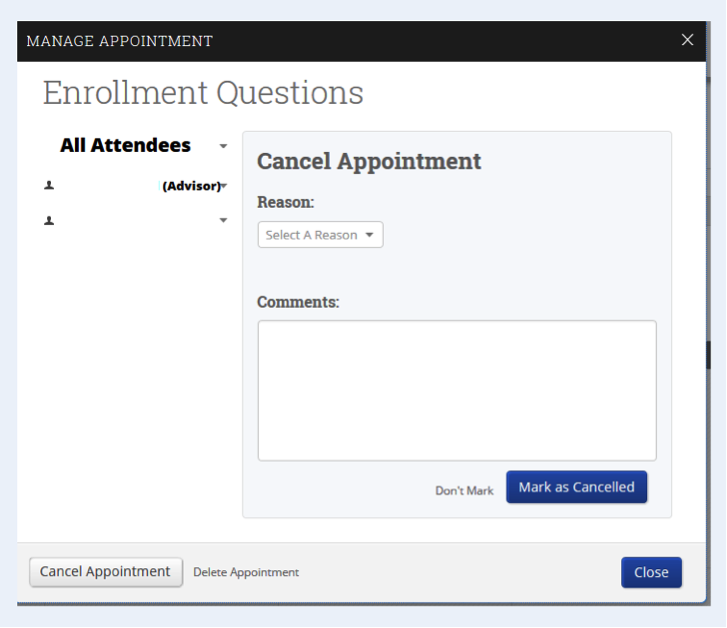 On the right-hand side of the home screen select your meeting in Upcoming Appointments. Select a reason from the drop-down menu and add a comment. Then, select Mark as Canceled. You will see Appointment Canceled along with your comment. Select Close to exit the dialogue box OR click your name on the left side menu to reverse your cancellation. You and your advisor will receive an email notification with the cancellation.